CASE 546: LUNG CANCER, Dr PHAN THANH HAI, Dr HUYNH TRAC LUAN, MEDIC MEDICAL CENTER, HCMC, VIETNAM. MAN 52 YO WITH PROLONGED COUGH. 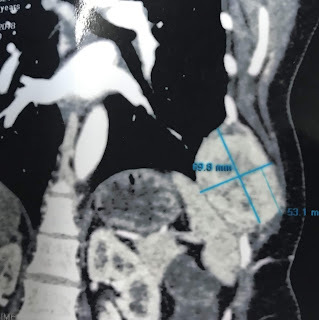 CHEST X-RAYS DETECTED A MEDIASTINUM TUMOR. CT LUNG 1: FRONTAL VIEW: LARGE NECK BY LYMPH NODES. 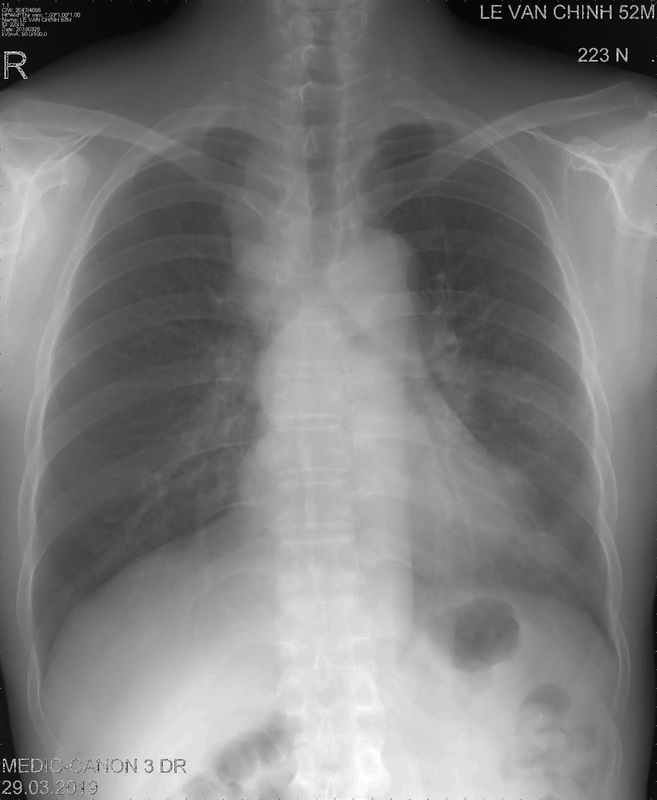 MEDIASTINUM ENLARGED BY MANY LYMPH NODES AND LEFT LUNG TUMOR. 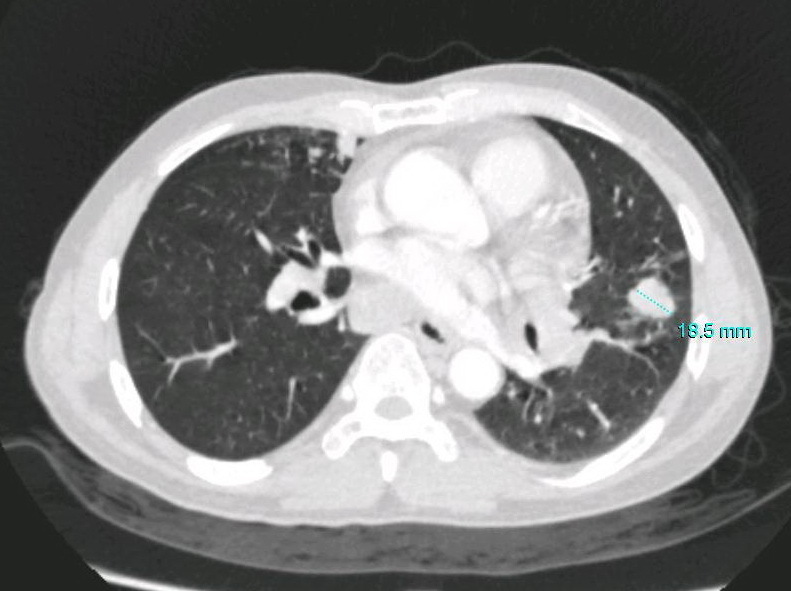 CT 2 : CROSSED SECTION, TUMOR OF LEFT LUNG WITH LYMPH NODES in MEDIASTINUM. 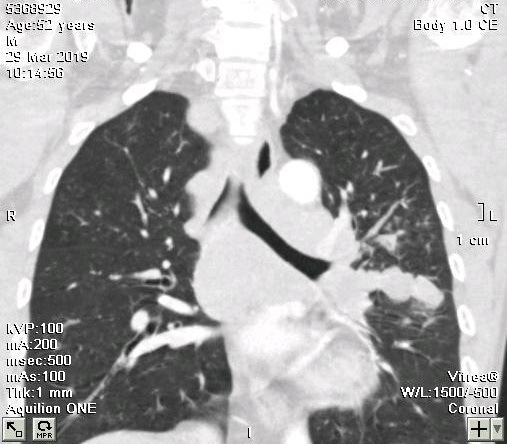 CT 3: LEFT LUNG TUMOR . CT 4: SUPRACLAVICULAR LYMPH NODES BOTH 2 SIDES. US 1= BIG LYMPH NODES AT RIGHT SUPRACLAVICULAR AREA. 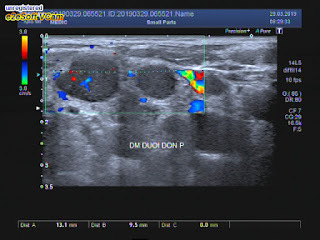 US 2 = AT LEFT SUPRACLAVICULAR AREA , NODE SUSPECTED METASTASIS. 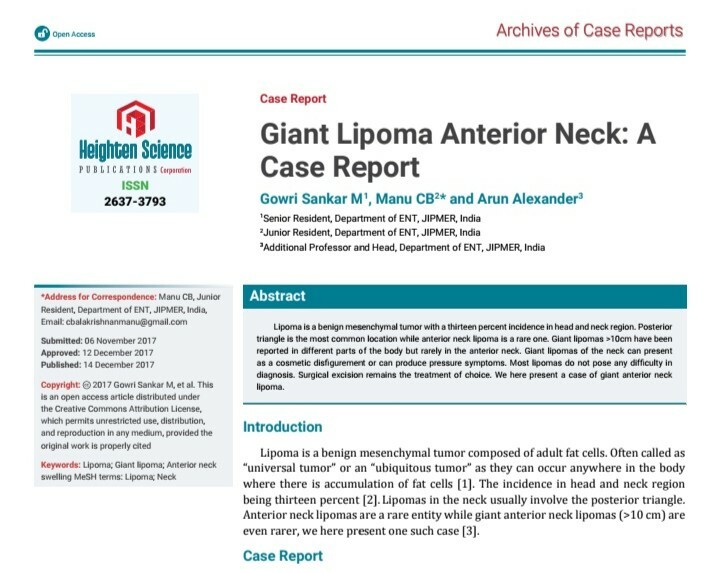 Biopsy of right supraclavicular lymph node. 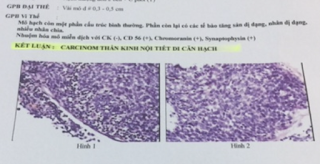 HISTOLOGY REPORT WITH IMMUNO STAINING IS SCC. 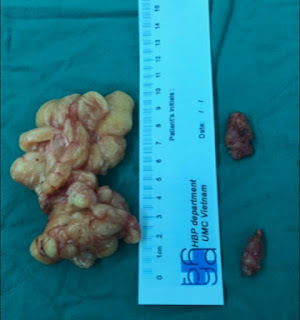 ( NEUROGENIC ENDOCRINE TUMOR). 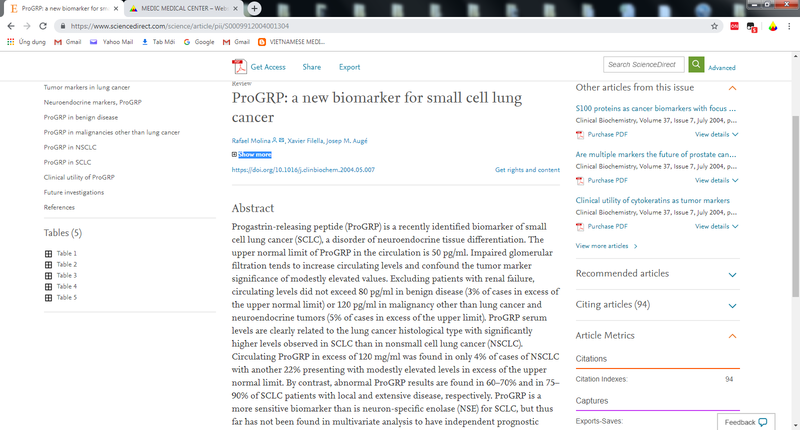 REFERENCE Pro-GRP [Pro-gastrin-releasing peptide] TEST for small cell carcinoma. 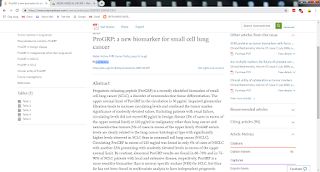 NOTA= VUD published 2 cases of SCC from 07 cases of lung tumor topic. 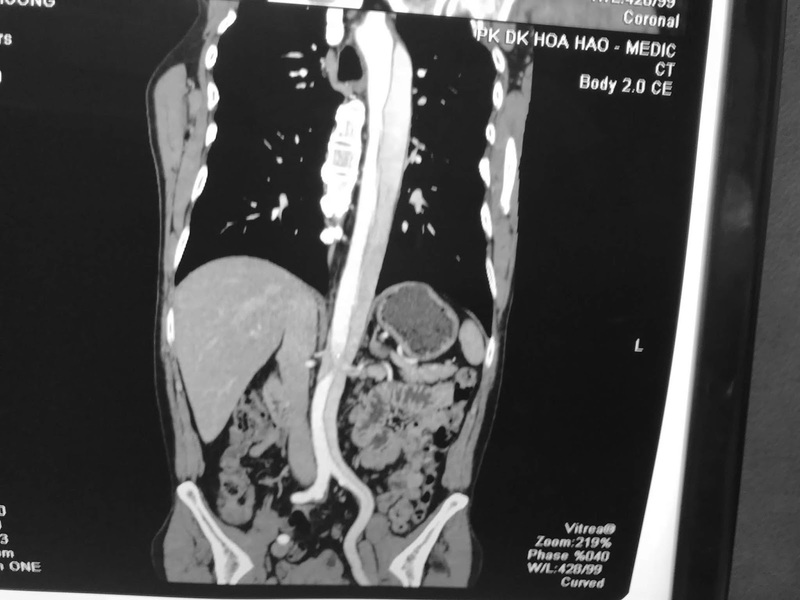 CASE 545: AORTIC DISSECTION, Dr PHAN THANH HAI, MEDIC MEDICAL CENTER, HCMC, VIETNAM. Man 72 yo with epigastric pain and back pain. 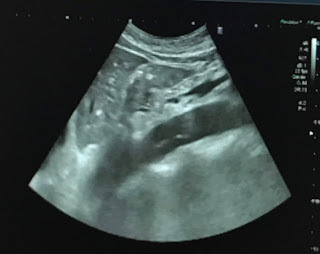 Ultrasound of abdomen detected aortic dissection. 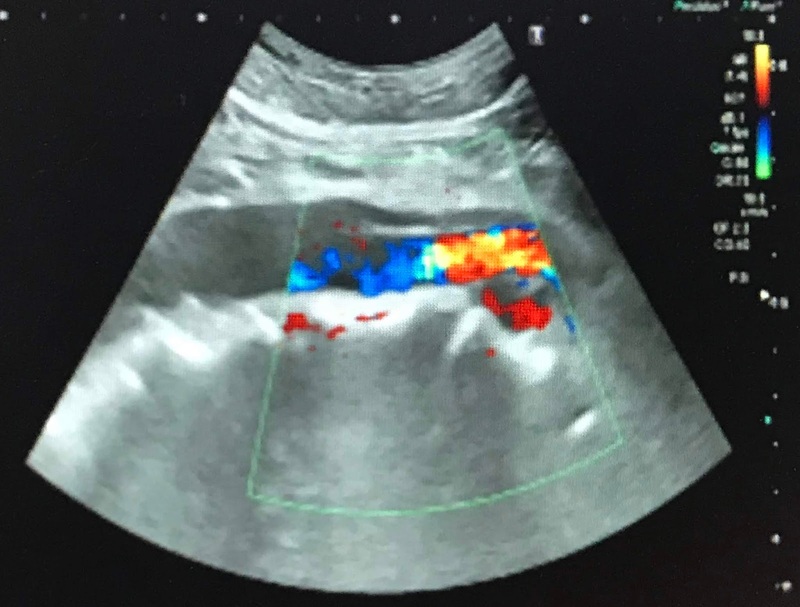 US 1 : longitudinal scan of aortic epigastric area having of septation intra aortic lumen, double lumen sign, to lower division. US 2 , US 3 : Doppler flow. echocardiography detected dissection of aorta. CT 2= crossed section of aorta shows double lumen in epigastric area. 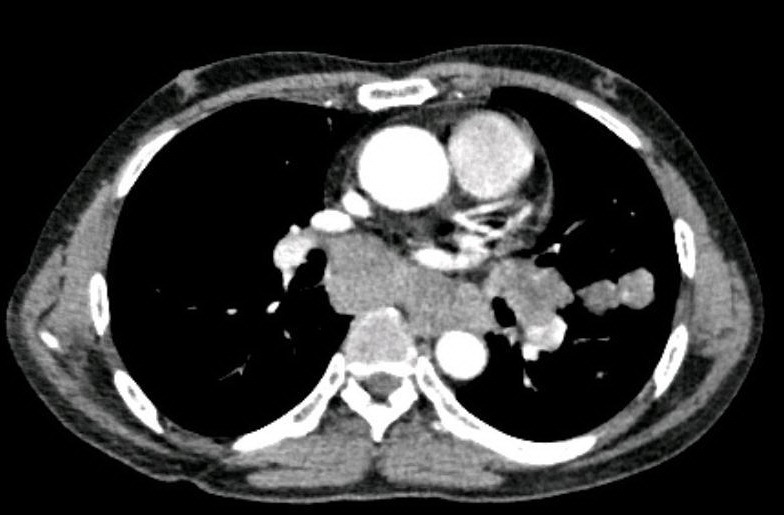 CT 3 =longitudinal scan of aorta. CT 4 = 3D view of aortic thoraco-abdomen. Conclusion : ultrasound detected thoraco-abdomen aortic dissection. Treatment : Intervention of stenting graft for aortic arch. 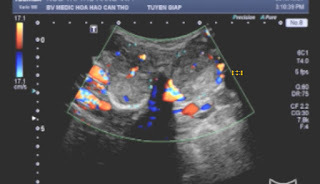 NOTA= In a survey of AAA at Medic Center for 10 years (1990-2000), 246/987 cases of AAA dissecting were detected and documented by ultrasound and CT scanning confirmed, # 24.9%, that had been prothesis grafting later in Binh dan hospital. CASE 543: PELVIC WALL ABSCESS, Dr PHAN THANH HAI, Dr HO CHI TRUNG, Dr VO NGUYEN THANH NHAN, Dr NGUYEN THANH DANG, Dr LE THONG LUU, MEDIC MEDICAL CENTER, HCMC, VIETNAM. 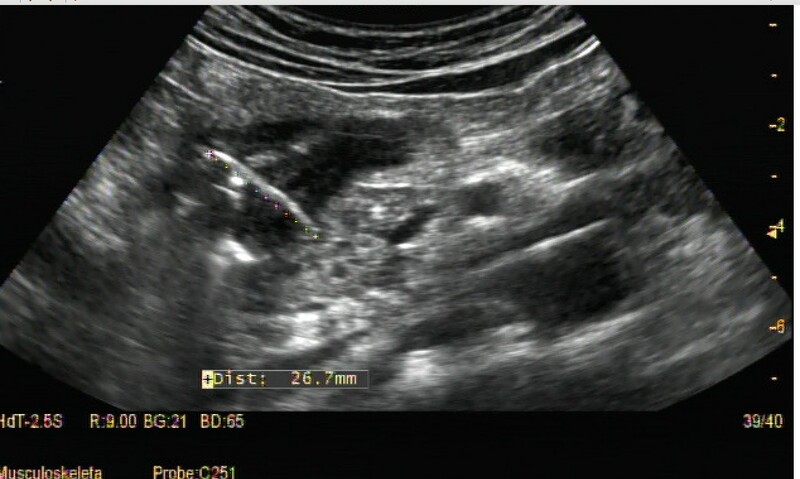 Male patient 31yo with right pelvic pain for some weeks in deep palpation. X- Rays : Normal chest and vertebral column. Blood tests : WBC , hs CRP : normal. 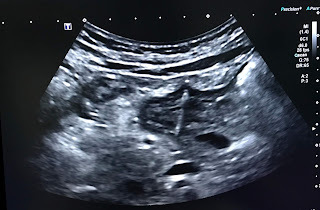 Mass with mixed pattern of structure presses on urinary bladder that connects retroperitoneum and covers right poas muscle. 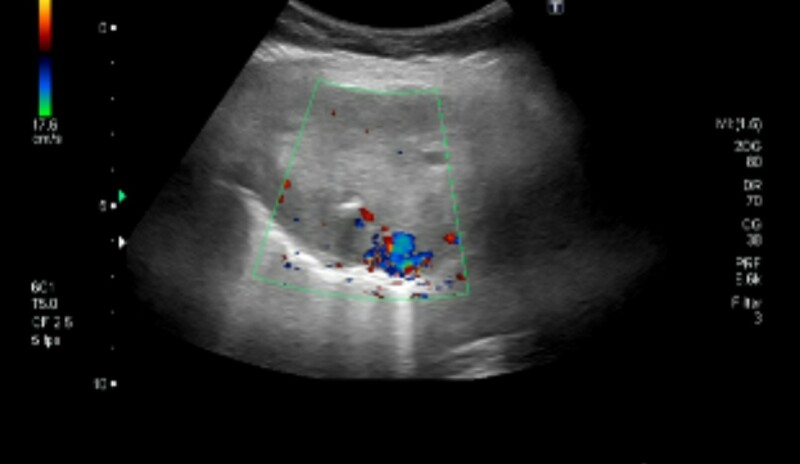 Mass goes forward under right pelvic wall and presses on peritoneum. And enters muscle layers of right pelvic wall. A diagnosis of pelvic abscess is made by sonologist. MSCT : Lesion in right pelvic wall#5x8cm, cystic , multicrescent, thick capsule with septation which takes contrast and presses urinary bladder and goes down to right inguinal canal. Radiologist thinks about a pelvic wall abscess. MRI : Right pelvic abscess in retroperitoneum goes forward that presses on urinary bladder then goes upward to right pelvic wall muscles. FNAC withdraws some milky fluid, like abscess fluid. Core biopsy results TB pelvic abscess. 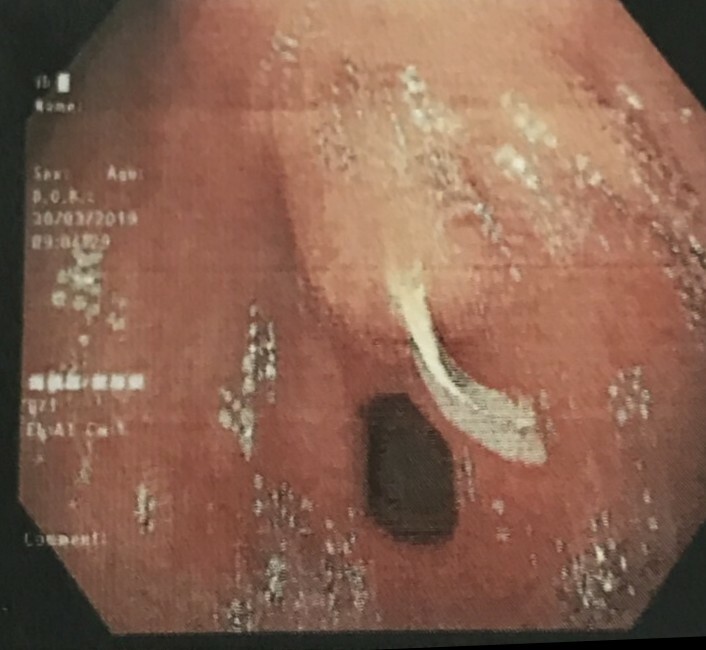 A 6 month TB planning is done for this patient. 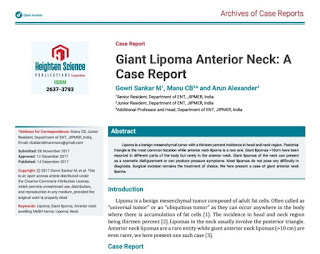 CASE 542: NECK TUMOR LIPOMA, Dr PHAN THANH HAI, MEDIC MEDICAL CENTER, HCMC, VIETNAM. Man 65 yo with history of 5 years ago having a tumor at right neck that was in growth slowly and no pain nor voice change (photo). In examination, this mass is soft and mobile. 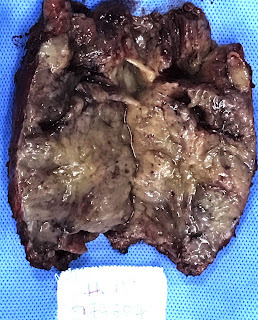 US 2 : this tumor deplaces SCM and not connected to normal thyroid gland. US 3 : this tumor is nearby right CCA. 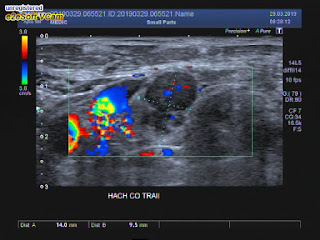 CT 1= crossed section, this tumor is subcutaneous, hypodensity, out of thyroid gland. 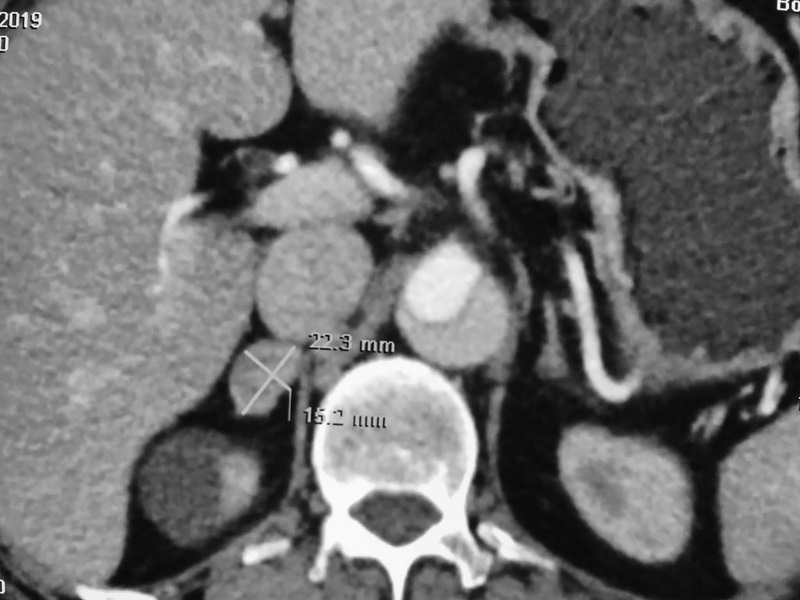 CT 2= frontal view, this tumor has CT density HU IT FROM SUB MENTAL AREA TO THE CLAVICULAR AREA. 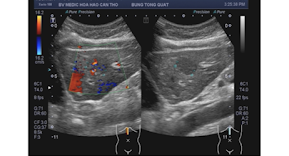 CT3 = FRONTAL VIEW, THIS TUMOS HAD SEPTATION. 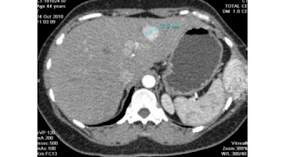 CT4 = CROSSED SECTION TUMOR. RADIOLOGIST DIAGNOSIS IS SUBCUTANEOUS LIPOMA. OPERATION FOR REMOVE THIS TUMOR. Operation removed this tumor and some cervical lymph nodes. CASE 541: RIB TUMOR, Dr PHAN THANH HAI, Dr HO CHI TRUNG, MEDIC MEDICAL CENTER, HCMC, VIETNAM. 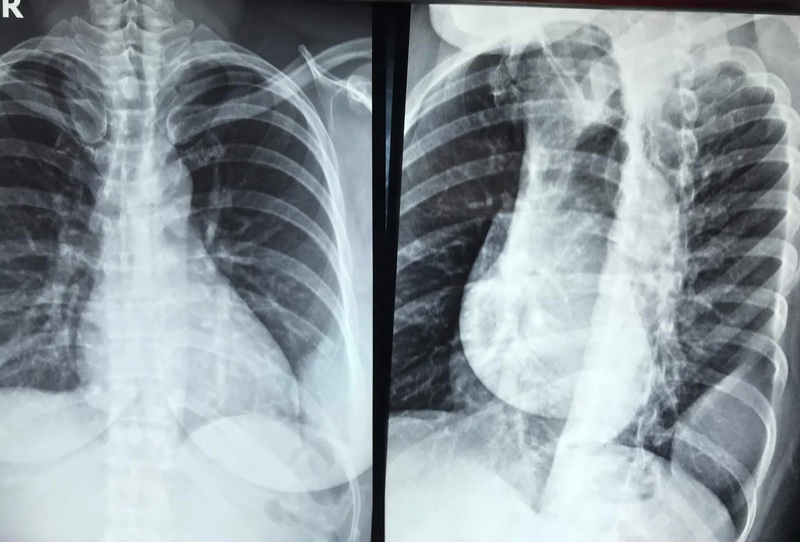 Woman 45 yo with pain at left thorax. Chest X-rays detected one mass at left lower lung. 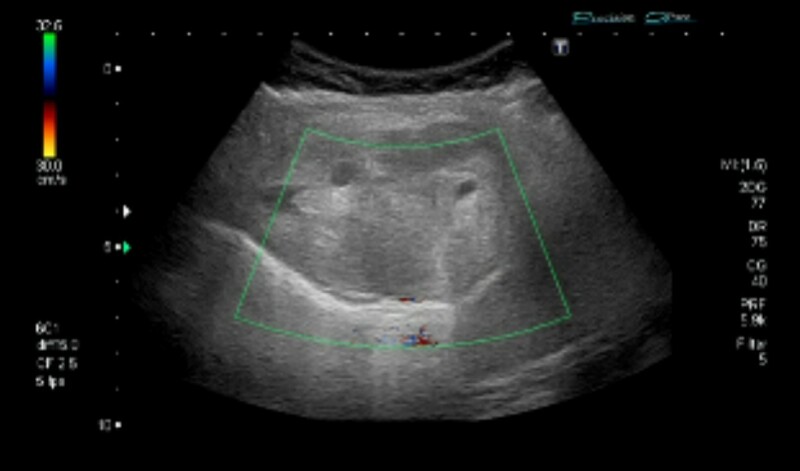 Ultrasound detected this mass from thorax wall. 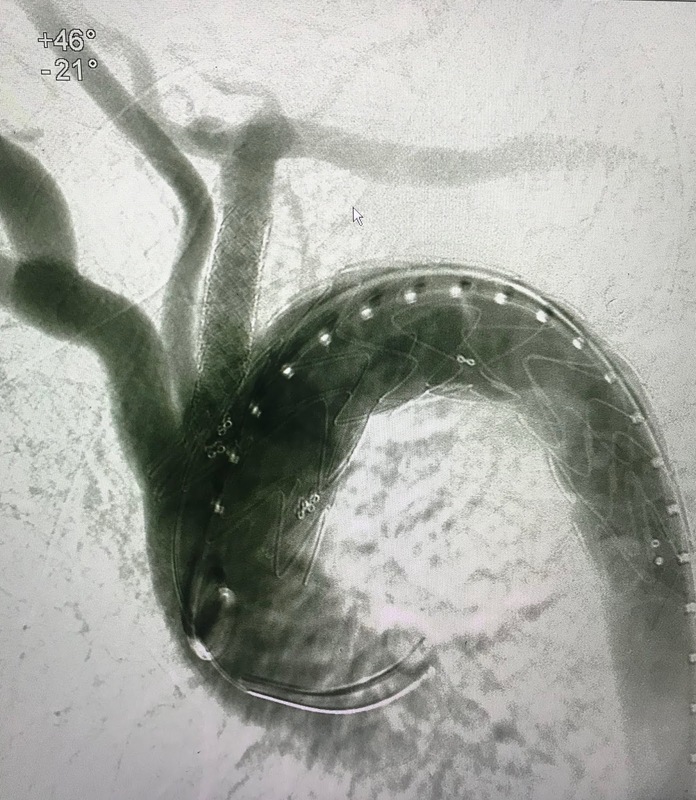 US 1 : solid mass hypovascular. US 2: crossed section of this mass is round border freely with pleural space. 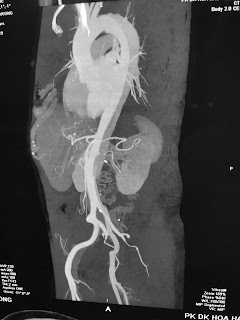 US 3 : longitudinal scan of this tumor is hypovascular. 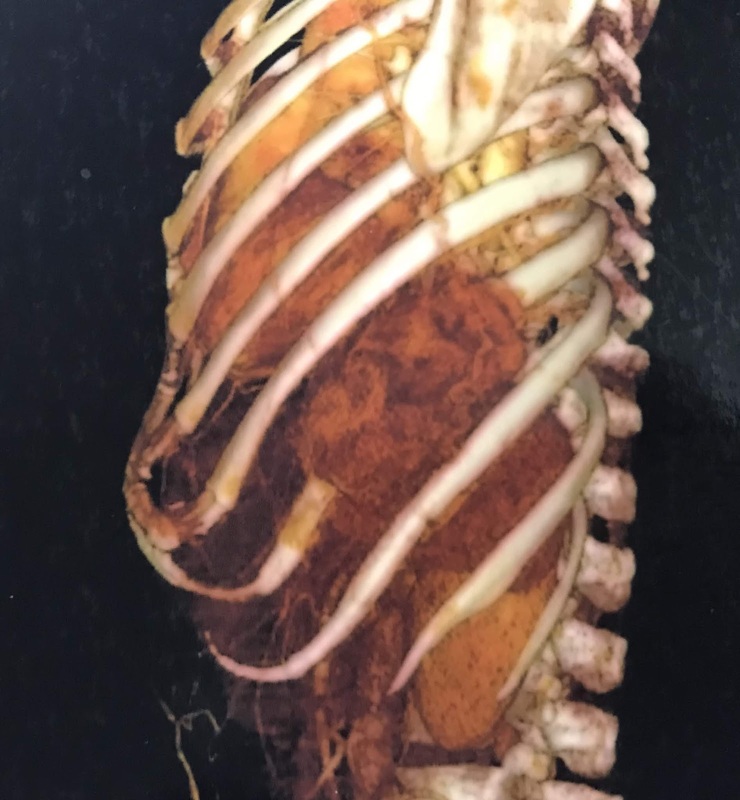 MSCT with CE of thorax, this tumos is from 9th rib, size 9cmx5 cm ( CT 1 cross section, C T 2 sagittal section, CT 3 3 D view). Biopsy of this mass is cavernous hemangioma. Operation for resection this tumor is done. Microscopic report is metastasis from thyroid cancer. 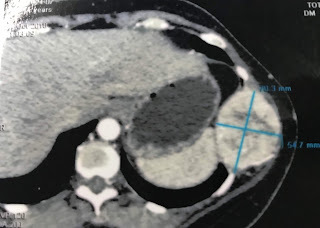 Review MSCT total body of this patient we see the thyroid tumor and liver focal which suspected metastasis from thyroid cancer. 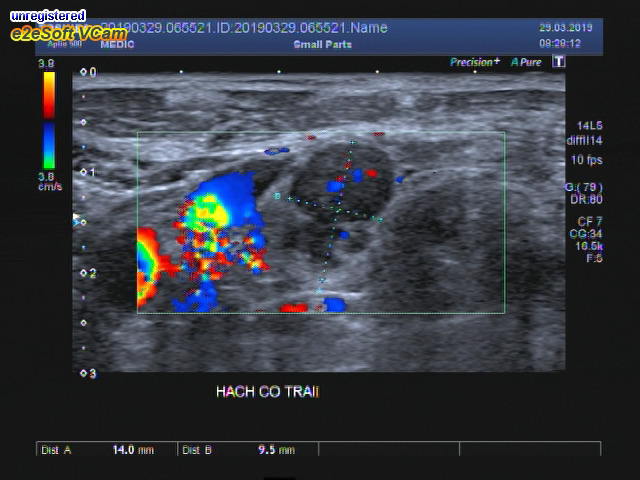 Notes: This case is one of 18 thyroid cancer cases and one of 4 cases bone metastasis published on VUD.